In death as in her later life, drama continues to surround Houston and those most closely connected to her. Whitney Houston performs at the 2009 Grammy Salute To Industry Icons. The singer died Feb. 11 2012 on the eve of the Grammy Awards. A year ago on Feb. 11, 2012, the Grammys (and popular culture) were rocked by the news of Whitney Houston’s untimely death at age 48. Houston was found dead of accidental drowning in a bathtub at the Beverly Hilton Hotel on Feb. 11 2012. It was the eve of the music industry’s biggest night and the revelation sent shockwaves throughout the recording community and kept the general public fascinated in the months that followed. With the annual awards show set for Sunday night, the specter of Houston, her legacy and those she left behind comes into sharp focus once again. On Saturday night CBS will air an hour-long special, “The Grammys Will Go On: A Death in the Family,” which will look back at the 24 hours prior to the 2012 Grammys when news of Houston’s passing broke. The special will include a look at how Grammy producers scrambled to rework the event in the wake of the announcement and features celebrities such as LL Cool J, Taylor Swift, Jennifer Hudson and Bruce Springsteen discussing the legendary singer. In death as in her later life, drama continues to surround the superstar and those most closely connected to her. Much of the pre-promotion around the film centered on cast reminiscences of Houston and her behavior during filming, with Sparks telling E! news that while on set, Houston was “singing all the time… She was very nurturing, very motherly, was always asking if I was OK, to everybody.” Released to mixed reviews on Aug. 17, “Sprakle” was ranked number 5 at the box office on its opening weekend and went on to gross $24.3 million domestically. Immediately following the death of his ex-wife, Brown struggled to perform at a New Edition concert and exited the stage early. Invited to appear at Houston's funeral, Brown arrived as the ceremony was beginning, going to the head of the church to lay his hand on the casket, before heading to the rear of those assembled. He left soon thereafter reported NBC New York. The "My Prerogative" singer married Houston in July of 1992 and nine months later the couple welcomed the birth of their only child together, daughter Bobbi Kristina. The marriage lasted 14 years but was plagued with rumors of Brown's infedility and the couple's frequent drug use, some of which was chronicled on the reality TV show "Being Bobby Brown." Houston eventually confessed to abusing cocaine, marijuana and pills, and told ABC's Diane Sawyer in 2002 that "the biggest devil is me. I'm either my best friend or my worst enemy." Their divorce was finalised in 2007 with Houston receiving custody of their then 14-year-old daughter. In an interview with Oprah Winfrey, Houston said that it was her daughter that encouraged her to leave Brown. The remainder of 2012 saw Brown, 44, arrested for two separate DUI incidents in March and October. The singer also underwent court-ordered rehabilitation for alcohol addiction in August. In June, Brown married his longtime manager Alicia Etheridge in Honolulu. 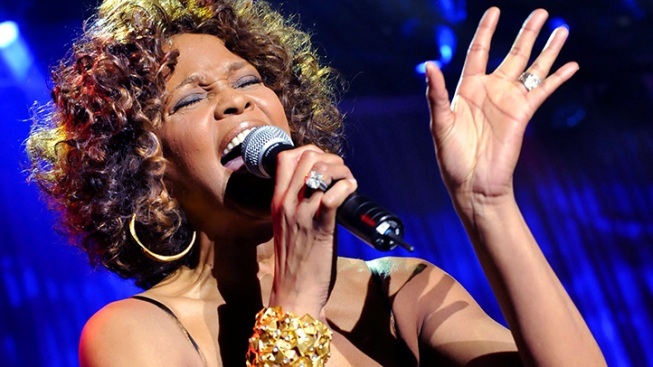 On the first anniversary of her daughter's death, Cissy chose to publish a memoir, "Remembering Whitney: My Story of Love, Loss and the Night the Music Stopped.” In the book, Cissy looks back at her own life - she's had a well-regarded career as a gospel vocalist and backup singer - and addresses the demons that plagued her superstar daughter (whom she called "Nippy") and the fact that the connection between mother and daughter was often strained. "Nippy never liked to share her problems with me, so I didn't know exactly what was wrong," Cissy, 79, writes. She goes on to reveal that their relationship grew worse as Houston's drug use escalated and that she often intentionally overlooked things out of fear of being further ostracized from her daughter's life. 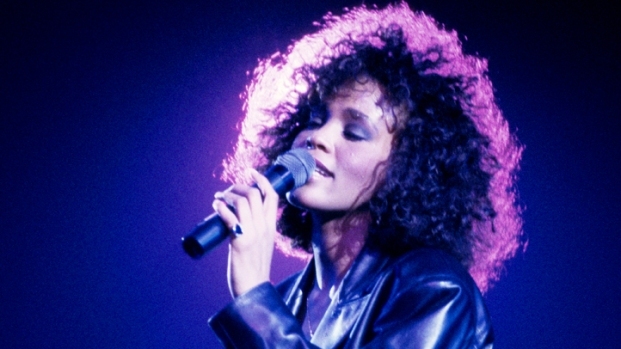 Pointedly, Cissy writes that while she doesn't blame Bobby Brown for introducing Whitney to drugs, she had doubted whether he was right for her daughter and that she might not have ended up so "deep" into drugs had they not stayed together. It appears that with Houston's passing, the often fractious relationship between mother and daughter has jumped a generation. Following its release, Houston and Brown's daughter Bobbi Kristina publicly slammed her grandmother's memoir as "disrespectful." The 19-year-old took to her Twitter account following the book's debut on Jan. 29 to voice her feelings: "ANYTHING concerning my grandmothers Book I & @nickdgordon OF COURSE personally have NOTHING 2 do with I ask you pls RESPECT tht Haven't read & won't," she wrote to her more than 120,000 followers. It's not the first time grandmother and granddaughter have not seen eye to eye. Cissy reportedly weighed in when Bobbi Kristina's relationship with her informally adopted brother turned lover Nick Gordon (whom Houston took in when he was 12 years old) appeared to escalate while on the reality series "The Houstons: On Our Own." When Bobbi Kristina announced that she and Gordon were engaged, family members were quick to voice their opinions. At the time, Houston's sister Pat told E! News that she didn't think much of her niece's news when she heard it. "At the beginning of the show, she was engaged," Pat acknowledged. "You have to realize, she's just lost her mother and she's 19 years old. I didn't take the engagement seriously," she admitted. "They are friends, they will always be friends." The on-again-off-again relationship between Bobbi Kristina and Gordon (who currently live in Atlanta while Cissy resides in New Jersey) is back on according to Bobbi Kristina's Twitter page, though the pair called off the engagement soon after it was revealed on television. "Of course I worry about her," Cissy told People in January. "Bobbi Kristina is 19, and if you know anything about a 19-year-old, they think they know it all. It doesn't mean that she is going to follow her [mother's] same path. She could but anybody could. I don't want to jinx her. I'm trying to make sure she doesn't." Cissy goes on to say in the interview that she doesn't hear from her granddaughter as often as she would like. "She's a typical young girl," she says. "Nobody calls their grandmother. [But] I'm here if she needs anything."